Plot Summary: Based on mystery novels written by Mochizuki Mai. There is an antique shop in Kyoto's Teramachi Sanjou shopping district. 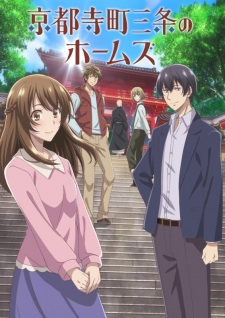 High school girl Mashiro Aoi unexpectedly runs into Yagashira Kiyotaka, the son of the shop's owner, and ends up working part-time at the shop. Kiyotaka is called the "Holmes at Teramachi Sanjou," and he and Aoi solve odd cases brought to them by various clients.